With its white sand beaches, rich fishing grounds and vibrant game fishing industry, Santa Ana is undoubtedly the game fishing capital of the Philippines. It is a second-class town in Cagayan Province at the tip of northeastern Luzon. It is where the Cagayan Special Economic Zone and the Naval Base Camilo Osias are located. 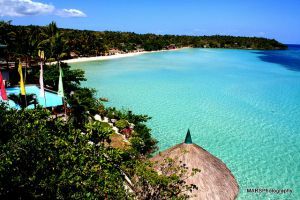 Even before its economic boom, Santa Ana is already host to the traditional annual tournament of the Philippine Game Fishing Foundation Inc. (PGFFI), and a top tourist destination for its white sand beaches. The PGFFI established the Don Andres Soriano Sports Fishing Camp inside the Philippine Navy compound. The sports fishing camp is visited by anglers from various parts of the country annually, around the middle of April. Santa Ana likewise hosts international game fishing tournaments including the International Billfish Tournament. Some of the fish caught in the area include sailfin, dorado (mahimahi) and marlin, which are plentiful in Babuyan Channel located north and west of San Vicente in Santa Ana. Testament to the abundance of game fish in the area are the Asian record fish and runners up to the world record fish caught there. Sports fishers are advised to bring their own equipment since there are limited rental equipment available in the location. Santa Ana is actually close to Japan by plane than to Manila. To get there, you can travel by water or by air. By water, ride a direct Florida bus from Manila to Santa Ana. This is going to be a long bus ride, about 15 hours. It is also possible to take a bus to Tuguegarao for 12 hours and then ride a van or bus to Santa Ana for another 4 hours. By air, take a plane to Tuguegarao, and then ride a van or bus for 4 hours. Once in Santa Ana, you can take boat rides to specific island destinations throughout the province particularly the famous Palaui Island. Fishing is productive throughout the year, but the best times to catch prize fish varieties are from March through June, when the weather in Santa Ana is at its finest. If you hate crowds, go before or after scheduled fishing tournaments. Aside from the sports fishing camp, there are tourist attractions in the province worth the long trip and the visit. Cape Engaño Lighthouse at Punta Verde in Palaui Island offers a breathtaking view of the Pacific Ocean. The lighthouse itself is a historical landmark built in the 19th century. Palaui Island itself is great for swimming, trekking, and chasing waterfalls. The coastal shores of Santa is mesmerizing since it’s where three bodies of water converge – West Philippine Sea, Babuyan Channel, and the great Pacific Ocean. To top it off, there’s always a great white sandy beach beckoning you to take a dip. Visit the beaches of Anguib, Mapurao, Nangaramoan, and Puzo Robo – they won’t disappoint you. Aside from the beaches and the islands, you can also visit Gotan mangrove forest and waterfalls. These are fantastic diversions from your seawater adventures while in Santa Ana. Of course, being a coastal province with rich fishing waters, the first dishes to try is seafood. You can always feast on the freshest and most flavorful seafood recipes in Santa Ana’s restaurants and eateries. When you go fishing, it’s always a treat to cook and eat your prized catch. 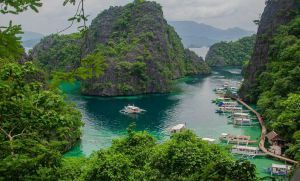 If you’ve been to Boracay, Bohol, Palawan and Puerto Galera, then culminate your trip by coming to Santa Ana, as it’s been billed as a combination of these four great destinations. Can you give me some names and information of fishing tour guides in Santa Ana? I am thinking about going there soon. Be accredited with DOT and Avail of Incentives!